This Study focuses on the ability of Sulfolobus acidocaldarius to survive extreme heat to try and understand overall the ability for specific species of archaea to survive extreme temperatures. S. acidocaldarius has an unusual membrane (phospholipid bilayer). 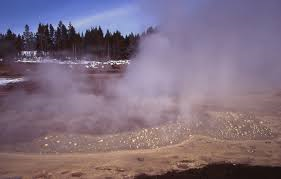 Usually, archaea typically do not generate an outer membrane but in this case, it creates a unique membrane to protect and thrive in extreme heat. It was found that a molecule called calditol is the reason the phospholipid membrane is so unique in this archaea. Through this study, this helps researchers relate and possibly find more clues about other microorganisms that can thrive in extreme temperatures. This could even develop into new medicinal or chemical practices and experiments. This information can provide modern human civilization a step into being able to create and control the ability to withstand extreme conditions, a feature that can have several different uses and advantages for everyone. Although having applications at the cellular level in benefiting human kind, it would be fun and interesting if this can be implicated into some type of lotion that can be put on for extreme conditions such as for firefighters. My favorite part of biology is learning about microorganisms. It's perplexing how these life can live under such extreme conditions and initiates further investigation as to why. There is no surprise that a particular protein encodes for a membrane that is distinct from bacteria or eukarya, which permits living in such environments. Often there are studies concerning the other domains and it's quite nice to have some insight on the third.